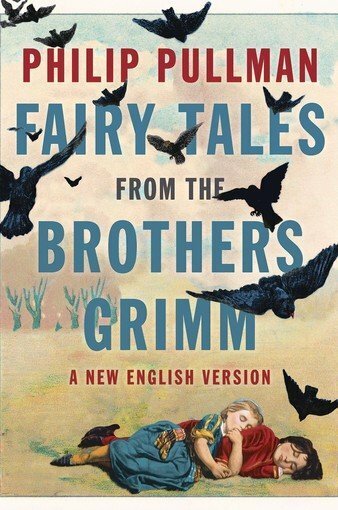 FAIRY TALES FROM THE BROTHERS GRIMM. Deluxe Edition. Retold by Philip Pullman. Penguin Classics. These are the stories with which we grew up, and acclaimed author Philip Pullman (widely known to readers for the bestselling His Dark Materials trilogy) has done a stunning job retelling some of the greatest stories in all of children’s literature. Grimm’s Fairy Tales actually goes back over 200 years, to 1812, when Jacob and Wilhelm Grimm published their first stories in a collection entitled Children’s and Household Tales. Two centuries later, the pieces still prove riveting to both youngsters and adult audiences alike: these tales that nurture the heart and feed the imagination simultaneously. Pullman has done a brilliant job here modernizing the stories while still remaining true to their core – his highly nuanced prose just to the left of center stage as he lets the characters drive the pieces, refusing to get in the way of the message they’re meant to convey. The best of the collection includes “Cinderella” and “Hansel and Gretel,” in addition to the relatively unknown “Godfather Death.” There are a host of surprises in this volume, as Pullman unleashes a few new characters on his readers that rival Little Red Riding Hood and Rapunzel in terms of depth and intrigue. This entry was posted on October 9, 2013 by Jacob Aiello in 2013, In the Spotlight, October 2013, Rat On Fiction & Nonfiction and tagged Book Review, Books.